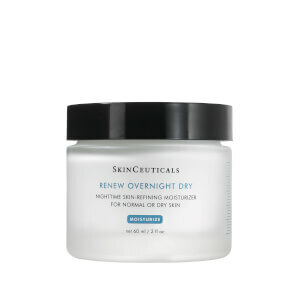 Awaken the eye contour with the SkinCeuticals A.G.E. Eye Complex; an anti-aging eye cream that delivers an array of benefits associated with advanced glycation end-products, a major factor of the natural aging process. The silky formula effortlessly glides over the delicate skin at the eye contour. Enriched with a potent blend of Proxylane, Blueberry Extracts and a complex of Flavonoids and synergistic Peptides, the gentle yet effective eye cream is able to reduce the appearance of fine lines and wrinkles, including stubborn crow’s feet. The formula restores a natural radiance to the eye area, which also helps to visibly improve the look of dark circles and puffiness. 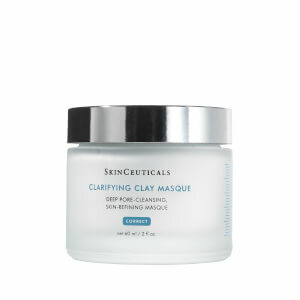 After use, dry and aging skin feels calm and comfortable, whilst appearing radiant and youthful. Free from parabens, alcohol and dye. Aqua / Water / Eau, Glycerin, Dimethicone, Isohexadecane, Paraffin, Propylene Glycol, Silica, Polyglyceryl-4 Isostearate, Cetyl Peg/Ppg-10/1 Dimethicone, Hexyl Laurate, Nylon-12, Hydroxypropyl Tetrahydropyrantriol, Methylsilanol/Silicate Crosspolymer, Polyethylene, Ascorbyl Glucoside, Caprylic/Capric Triglyceride, Octyldodecanol, Phenoxyethanol, Tocopheryl Acetate, Ammonium Polyacryloyldimethyl Taurate, Peg-6 Isostearate, Triethanolamine, Sodium Citrate, Methylparaben, Chlorphenesin, Caffeine, Titanium Dioxide, Ethylparaben, Menthoxypropanediol, Sorbitol, Vaccinium Myrtillus Fruit Extract, Steareth-20, Hesperidin Methyl Chalcone, Pentasodium Pentetate, Aluminum Hydroxide, Stearic Acid, Hesperetin Laurate, T-Butyl Alcohol, Chlorhexidine Digluconate, N-Hydroxysuccinimide, Potassium Sorbate, Dipeptide-2, BHT, Citric Acid, Palmitoyl Tetrapeptide-7, Pentaerythrityl Tetra-Di-T-Butyl Hydroxyhydrocinnamate, Palmitoyl Oligopeptide, Chrysin. This eye cream is truly amazing. I have tried so many and this is by far the very best. it's rich but absorbs nicely. it's an immediate improvement and the fine lines are diminishing. Works. great under concealer and makeup! 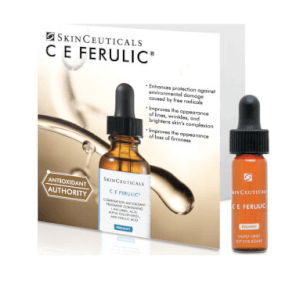 I am a huge Skin Ceuticals fan. However, this product honestly achieved nothing. It blends in nicely , is packaged well, and is grease less. But it's all about results and sadly none were achieved. Take a pass on this one folks. This product truly works. I’ve been using it for 5 years and have recommended it to my friends. So far - so good! 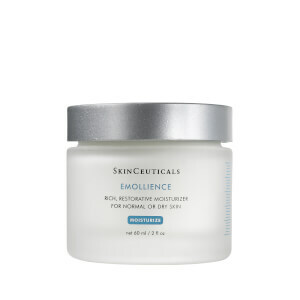 Have been using this product for about 2 weeks - rich & moisturizing. Feels wonderful and reduces morning puffiness. I apply it sparingly along my orbital bone - my eyes feel moisturized the entire day . Needed a more therapeutic eye cream; I believe I've found it! 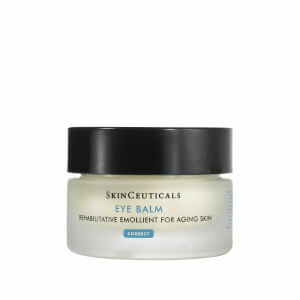 The skinceuticals age eye complex has decrease the dark circles under my eyes that I have had all my life. This eye cream has made my eyes look ten yearsyounger. My Dr. told me whatever I have beenusing around my eyes, keep using it!!! After reading the reviews, decided to give this a try and I'm glad I did. Almost one month into the purchase and have used daily -- and have seen results! Nothing drastic, but definite improvement. Had slight dark circles (nothing too major considering I'm 58) in the inner corners and under my eyes -- this product reduced the appearance within a week. Hoping for continuing improvement. Pricey, but seems like it will last a good long time. Thanks to the others reviewers for recommending I take the plunge! I've been using this for 2 months now . I can't tell the difference on my eyes . I don't think this product works for me . It's sad considering how much I paid for it . I'll keep using it until my jar is empty coz I don't wanna throw it away thought maybe It will make a miracle in the end on the jar . This is where to put your money.Tiny lines disappear and cream feels likesvelvet.Expensive but your complexion is worth it!